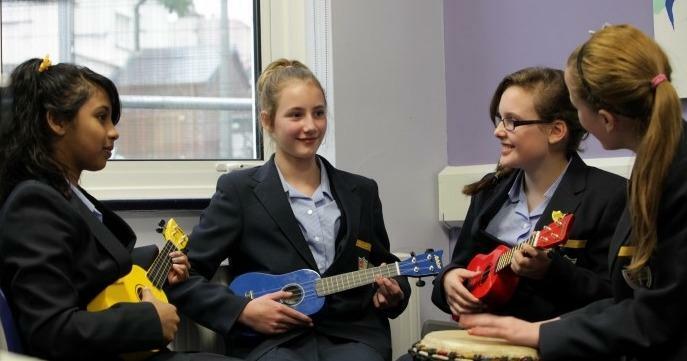 Tuition is available to ALL pupils at Prenton High School, regardless of whether they have played the instrument before. School have a supply of many of these instruments and are happy to loan them for a fixed period to students when they begin their tuition. There are also appropriate school ensembles available on all of these instruments during lunchtimes | after school in which we greatly encourage students to participate. Paired lessons cost £6.50 and individual lessons £8.50. Lessons last 20 minutes and are taken during the school day on a rolling timetable. Students will have a minimum of 30 lessons per year as arranged with the peripatetic teacher, usually in termly blocks of 10 – 12. Peripatetic teachers will issue an invoice at the start of each half term which must be paid promptly and in advance. E.g. 5 lessons at £6.50 = £32.50 to be paid before lessons commence. Peripatetic teachers have the right to withdraw lessons where invoices remain unpaid after 21 days. Lesson costs are covered for those students who qualify for Pupil Premium. However, should attendance at lessons fall below 75% across a term, school reserves the right to withdraw this funding. Subsidised lessons are available to support students with qualifying circumstances, for example, if you are in receipt of free school meals or have been within the past six years. This will be allocated in line with national guidelines. If no place is available when applied for, students will be placed on a waiting list and allocated a place as soon as one becomes available. If a student misses a lesson whilst in school it will still be charged. In the case of a pre-arranged school activity (such as an exam or school trip), no charge will be made if the tutor is informed directly, one week in advance by the student or parents. If the tutor is unable to deliver a lesson, the tutor will endeavour to make the lesson up. Failing that a credit will be issued or a refund will be given. If a student wishes to stop lessons for any reason, 6 weeks paid and written notice must be given to the Peripatetic teacher and the school. This includes the end of the summer term | start of the autumn term (except for year 11 students), otherwise it will be arranged that lessons continue into the new term | academic year.